Economics always played a vital role in deciding the Political leaders of the country. Vice versa political scenarios' impact on Indian Economics is equally high. On 28th of this Month (February) Indian Finance minister Mr. P Chidambaram going to present the Budget for the next financial year. If it was state election coming and it is a State assembly means we can expect freebies in it. But here this is budget for the nation, we can't expect any of those things. But there are certainties that there will be notable points to Cover all the Political deciders. One thing can be noted that Mr. Chidambaram is a Harvard MBA holder but more than that he is a main time politician. So it is not that bad about the speculations coming over the budget 2013-14. The economics calls for austerity while the politics demands profligacy. Finance minister P. Chidambaram will reveal how he has grappled with this fundamental dilemma when he stands up to present his new budget in Parliament on 28 February, perhaps the last one before the country goes to the polls. It was easier when Chidambaram presented his previous budget five years ago. The Indian economy was booming, tax revenues were pouring into the coffers, public finances were in fine fettle, and a national election was a year away—the perfect setting to spend Rs.60,000 crore on a farm loan waiver. The nature of India’s current economic troubles is well known. The economy has lost momentum, inflation is still too high, private investment has collapsed, consumer demand shows early signs of weakness, and households prefer to buy gold rather than put their money in banks. Many of these problems have their roots in economic policy since 2009, which involved a perverse stimulus to consumption in an economy that actually needed more investment. 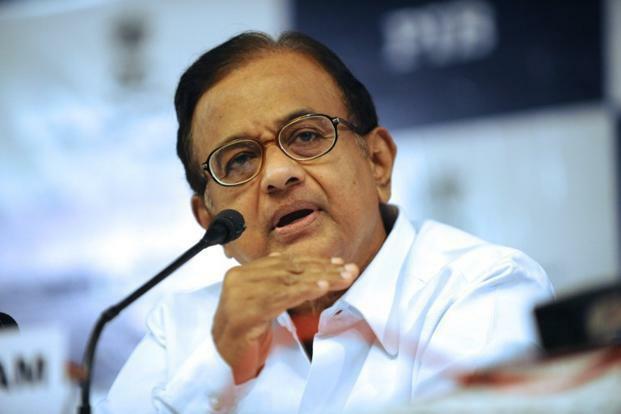 Chidambaram has brought a welcome focus to our economic problems since he took over as finance minister in July. The dire warning given by the committee on fiscal consolidation headed by Vijay Kelkar seems to have belatedly convinced the leadership of the United Progressive Alliance that the Indian economy is in trouble—in large part because of the spendthrift policies pursued by this very same leadership in the guise of inclusive growth. The first moves in recent months to clear the policy logjam could not have been possible without blessings, however grudging, from the political bosses of the Congress party. The finance minister has already promised foreign investors that he will draw a “red line” by keeping the fiscal deficit at 5.3% of gross domestic product (GDP), only a bit higher than what was budgeted for in February 2012. The cancellation of the last government bond auction of the year earlier this month is one indication that the fiscal gap will be kept at the promised level. So one bit of good news seems very likely on Thursday, though it remains to be seen whether this will involve accounting jugglery, such as the postponement of subsidy reimbursements to oil and fertilizer companies. Of course, Chidambaram has gone one step further in his statements. He has said that the fiscal deficit will be brought down by another 50 basis points in 2013-14, to 4.8% of GDP. Two sets of issues are important in this context: how the fiscal gap will be reduced and whether investors think the plan is credible. Chidambaram would like to base his plan to lower the fiscal deficit on a growth revival that will yield him good revenues. He may even pull a few privatization rabbits out of his hat. But the current economic situation suggests that spending discipline will have to play a far more important role than it did in the boom years. However, austerity is rarely attractive to politicians, and definitely not in the looming shadow of a general election. It is then quite likely that capital spending and Plan expenditure will face the brunt of the budgetary cuts, which is the main reason why economists will be looking closely at the quality of the fiscal correction rather than just the numerical targets. The most obvious place to cut spending is subsidies, especially the fuel and fertilizer subsidies that benefit the better off. The Kelkar committee quite rightly pointed out that subsidies pose the greatest fiscal risk to the Indian economy. The first eight months of the current fiscal year have already seen around Rs.67,000 crore of extra subsidy spending compared with the same period of the previous fiscal year. Pruning subsidies will require political courage, though the recent moves on fuel pricing are encouraging. The balancing between economics and politics will be akin to a high-wire act—with a crowd of worried investors in the audience. Chidambaram needs to have global investors on his side as a strategic necessity because India needs about $80 billion (around Rs.4.3 trillion) of capital inflows to fund its massive current account deficit, which is still the single biggest risk to economic stability. Capital has been flowing into India since the middle of 2012 because the international financing environment has been remarkably benign, especially thanks to quantitative easing by Western central banks. The Indian government has also done just enough to keep global investors interested. The resultant gush of foreign capital has ensured that the rupee has been stable despite the yawning trade gap. Some strategic signalling—such as a road map for the introduction of the goods and services tax, a move towards a new direct taxes code and insurance reforms—could help stabilize investor expectations further. Even a modest fiscal correction plan would be fine if it seems credible. India has had no shortage of ambitious plans for fiscal fitness since 2009. Then finance minister Pranab Mukherjee announced medium-term plans in successive budgets; the 13th Finance Commission put out a fresh set of fiscal targets; more recently, the Kelkar committee reiterated the need for a medium-term fiscal plan. The public finance mess has persisted despite all the talk. The mothballing of earlier plans to lower the fiscal deficit has raised questions about the credibility of the announcements made by the finance ministry. Further, the fact that inflation has been higher than target for more than three years has possibly hurt the credibility of the inflation goals of the Reserve Bank of India as well. Getting the Indian economy back on track promises to be a long slog thanks to deep structural fissures, even if there is a mild recovery a few quarters down the line while core inflation abates. Policy statements have to be credible while the damage is being repaired. So, above all, Chidambaram will have to convince his sceptical audience that the government is ready to walk the talk on budgetary discipline even as it prepares to go to the polls.